Scientifically validated. Biblically based. Over 170 diseases reversed through the Hallelujah Diet and whole-food supplements*. The Hallelujah Diet is a plant-based diet that’s designed to guide you in eating the way God intended. Hallelujah Diet supplements will give you the added nutrition you need to get back to your best health. The supplements fill in the gaps with the additional nutrition you need to allow your body to function at it’s highest level. Your body will begin to naturally heal itself and will be restored to it’s best health. We have thousands of success stories from people like you! Take this quiz to discover the best supplements for you. I have lost 50 pounds. No more migraines. I sleep better. I have a lot more energy. What a great report we had from the doctors in Boston today -- tumors on the lungs are still regressing, and there are no new tumors anywhere on Chris' body -- Praises to Jesus! My testimony begins in 1958 when I was involved in a serious hit and run accident. It injured my spine severely and at the time, the doctors told me I should have surgery. By May, I was 85% free of pain! It shouldn't be hard to get the nutrition that our body needs to be healthly. But with human intervention and GMOs, our food has drastically changed. We can't get everything we need from our food anymore. Don't allow your health to continue to decline. 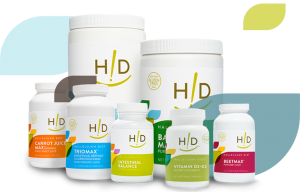 We created the best in whole food supplements so that it would be easy for you to take back your health. * The reversal of disease is done by the self-healing mechanism of the body. 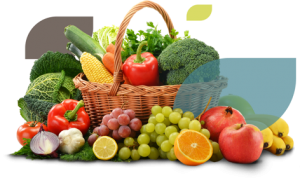 The Hallelujah Diet and whole food supplements supply the resource for this self-healing to occur.